A surprise announcement in Cedar Rapids Wednesday night, exactly 39 years to the day after Michelle Martinko was stabbed to death outside Westdale Mall where the teenager had been shopping. “Michelle’s killer has been identified and arrested,” Cedar Rapids Police Chief Wayne Jerman said at a news conference. Following “weeks of planning and strategizing,” Jerman said officers traveled Wednesday morning to the town of Manchester – about 45 miles north of Cedar Rapids. “And after an interview, located and arrested 64-year-old Jerry Lynn Burns of Manchester, Iowa,” Jerman announced. According to a news release, police questioned Burns where he works in Manchester and he denied killing Martinko in 1979. But, Jerman said a “covert” DNA sample collected from Burns links him to the brutal stabbing. “The laboratory found that the collected DNA was a match to the DNA from the blood that was found on Michelle’s clothing and consistent with the DNA profile developed from blood also found elsewhere in the vehicle,” Jerman said. Burns is charged with first-degree murder and is being held in the Linn County Jail. Martinko’s body was found in the early morning hours of December 20, 1979 inside her family’s car, parked at Westdale Mall. She had been stabbed multiple times in the face and chest. Police said she was not robbed or sexually assaulted. Martinko was 18 and a senior at Kennedy High School. Burns would have been 25 at the time of Martinko’s murder. He’s scheduled to make an initial court appearance Thursday morning. CEDAR RAPIDS, IA – December 19, 2018 – The Cedar Rapids Police Department, with the assistance of the Linn County Attorney’s Office, has made an arrest in the homicide of Michelle Martinko. 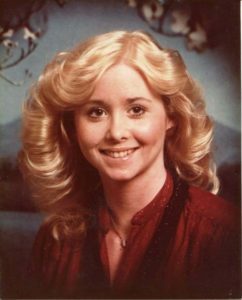 Michelle Martinko, DOB/10-06-1961, age 18 at the time of her death, was found stabbed to death in the parking lot of Westdale Mall just after 4:00 a.m. on December 20, 1979. An investigation by the Police Department identified a suspect in the case. The suspect, identified as Jerry Lynn Burns, DOB/12-23-1953, age 64, of Manchester, Iowa, was arrested today for the crime of Murder in the First Degree. By way of background information, it was on December 19, 1979, Michelle Martinko drove her family’s 1972 Buick Electra to Westdale Mall to shop for a winter coat after leaving a school banquet at approximately 6:30 p.m. that evening. Martinko’s parents reported her missing around 2:00 a.m. on December 20, 1979. Police found the Buick in the northeast section of the Westdale Mall parking lot shortly after 4:00 a.m.
Cedar Rapids police investigators have continued to work the case over the past 39 years. On October 2, 2006, cold case investigators announced new evidence, the suspect’s DNA, was developed in the case. The DNA was uploaded in the Combined DNA Index System (CODIS), a national database that houses DNA profiles developed from crime scenes. When profiles of convicted offenders are uploaded to the database, CODIS searches its current index system to see if the offender’s DNA matches a profile in an unsolved crime. Investigators never received a match through CODIS. Since that time, investigators continued to pursue information and Jerry Lynn Burns was identified as a suspect from DNA evidence. He was questioned today at his place of employment in Manchester and denied committing the offense but could offer no plausible explanation why his DNA would be found at the crime scene. The Police Department and Linn County Attorney’s Office will continue to treat this case as an active and ongoing investigation until there is adjudication in court. Because the case is now in litigation, the Police Department and Linn County Attorney’s Office are unable to provide additional information at this time. However, we continue to ask for assistance from the public and would encourage anyone with information about the case to contact the Cedar Rapids Police Department. Today’s arrest and filing of charges against Jerry Lynn Burns was the result of persistent and determined investigative work by the Cedar Rapids Police Department and the results of scientific DNA analysis. 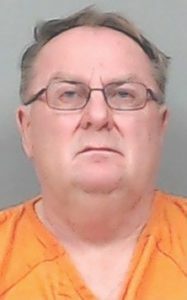 The defendant will make his initial appearance tomorrow morning in Linn County District Court and the case will eventually be scheduled for trial.